The Snap Circuits Snapino is an Arduino Uno compatible microcontroller for building and coding Snap Circuits projects. The Snapino features a fully programmable microcontroller that is compatible with the popular Arduino Uno. It comes with a selection of 14 additional parts for building 20 introductory projects. 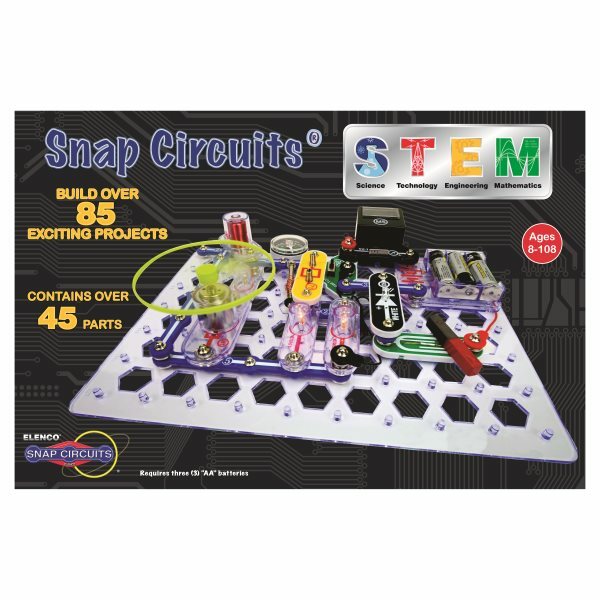 The Snapino can be used with other Snap Circuit sets to build a virtually unlimited combination of inventions. 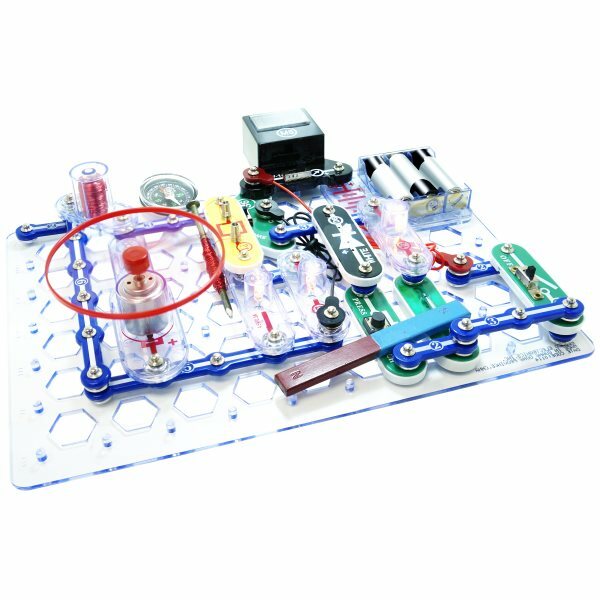 This set includes an Arduino Uno compatible Snapino module, USB cable, 9V battery holder, user manual and a small collection of basic Snap Circuit parts. The Snapino uses the downloadable Arduino IDE for programming. A set of Snapino Sketch programs are available to get started quickly. Recommended for ages 12 and up. Requires a 9V battery.